FREE. Wheelchair accessible. The film is in English (no subtitles). Part of QPIRG Concordia’s KEEPING IT REEL Subversive Cinema Series, in collaboration with the Collective Opposed to Police Brutality (COBP) and the upcoming Forum Against Police Violence and Impunity (January 29-31, 2010). View the film trailer HERE. A unique and provocative view into the great divide between “the people” and “the police”. Although the film’s backdrop is the Eastern United States, these scenarios play out over and over from Los Angeles to Atlanta, from Canada to Mexico, from the favelas of Brazil to the cities of Europe and Asia. IF I DIE TONIGHT is not a “documentary from a distance”. Whether or not one agrees with their viewpoints, the characters elicit instant rapport with and compassion from their audience as they re-live their experiences. 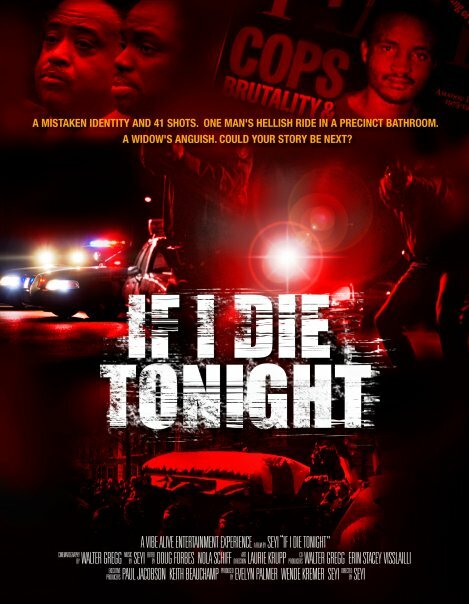 IF I DIE TONIGHT is a film about racial profiling, police brutality and the system that allows these enigmas to exist and persist, as seen through the lives and stories of those who are living on both sides of an impenetrable divide. Organized by QPIRG Concordia, in collaboration with the Collectif opposé à la brutalité policière (COBP) and the Forum Against Police Violence and Impunity. ~ par jbsone sur décembre 22, 2009. This entry was posted on décembre 22, 2009 at 1:23 and is filed under Évènements / Events.You can follow any responses to this entry through the RSS 2.0 feed.Both comments and pings are currently closed.